With the poll's margin of error, these shifts are not very significant. Furthermore, other data from this poll does not bode well for the Liberals. The New Democrats lead among Ontarians aged 34 or younger, while the Tories are ahead among those aged 35 or older. Support is also relatively evenly distributed among men and women, giving the Liberals no demographic they can particularly count upon. On issues which are most important to Ontarians, the Liberals are squeezed out by their two opponents. On job creation and the economy, the Tories are considered the best in this domain by 38 per cent, compared to 28 per cent for the Liberals. On providing accessible health care, the PCs and NDP are tied at 30 per cent, with the Liberals are in third at 27 per cent. And on education, the Tories edge out the Liberals by 31 to 30 per cent. But it is not all Dalton McGuinty’s fault. Though he has an approval rating of only 39 per cent (Hudak stands at 49 per cent and Andrea Horwath, leader of the NDP, at 63 per cent), he is considered the best person to be premier by 32 per cent of Ontarians. That is higher than current support for the Liberals and is only four points behind Tim Hudak, who at 36 per cent is less popular than the Progressive Conservative Party. One potential hiccup could be the Tory leader's stance on abortion. 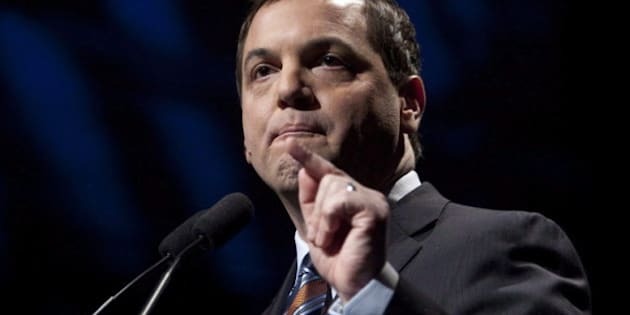 Though he has shied away from answering questions on his own views, and has pledged not to re-open the debate, a Christian website has identified Hudak as pro-life and claimed he has signed a petition against abortion as recently as 2009. According to this poll, however, Ontarians are plainly pro-choice. Fully 56 per cent say that an abortion should be allowed in all circumstances, while another 35 per cent say it should be allowed in some circumstances. Only 8 per cent of respondents said that abortion should not be allowed in any circumstances. However, the Tories are still leading throughout the province, with double-digit leads in eastern and southwestern Ontario. They are also ahead in the GTA (though the Liberals hold a narrow lead in the 416 area code). In the north, the Tories are challenged by the NDP, who are within a few points of them. Using ThreeHundredEight.com's seat projection model, this poll would deliver 60 seats to the Progressive Conservatives, 25 to the Liberals, and 22 to the New Democrats. But there are enough close races that the Tories could win only a plurality of seats and be handed a minority government. The odds are also relatively high that the NDP could supplant the Liberals and take on the role of the Official Opposition. Nothing in this poll, however, points to Dalton McGuinty winning a third term as premier. The IVR telephone poll by Forum Research was conducted between July 27 and 28 and surveyed 2,256 Ontarians. The poll has a margin of error of +/- 2.1%, 19 times out of 20.